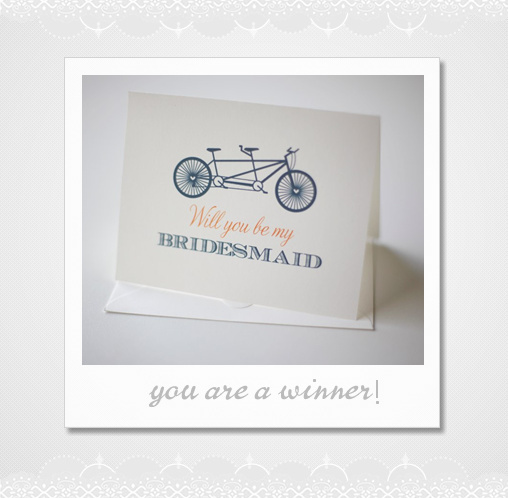 Will You Be My Bridesmaid Cards Winner! I really love the DIY Save the Date cards. The "will you be my" cards are adorable too! I think it's a great idea when planning your wedding party. I haven't officially asked any of my girls yet so I would love to be able to do it in a fun way.